Alali, F., Tolga, A. Ç., "Portfolio Allocation with the TODIM Method", Expert Systems with Applications, , , (2019). Buyukozkan, G., Parlak, İ. B., Tolga, A. Ç., "Evaluation of Knowledge Management Tools by Using An Interval Type-2 Fuzzy TOPSIS Method", International Journal of Computational Intelligence Systems, Vol. 9, No. 5, 812-826, (2016). Tolga, A. Ç., Tuysuz, F., Kahraman, C., "A Fuzzy Multi-Criteria Decision Analysis Approach for Retail Location Selection", International Journal of Inforrmation Technology & Decision Making, 12-4, 729-755, (2013). Tolga, A. Ç., "A Real Options Approach For Software Development Projects Using Fuzzy ELECTRE", Journal of Multiple-Valued Logic and Soft Computing, 18 (5-6), 541-560, (2012). Tolga, A. Ç., Kahraman, C., Demircan, M. L., "A Comparative Fuzzy Real Options Valuation Model using Trinomial Lattice and Black–Scholes Approaches: A Call Center Application", Journal of Multiple-Valued Logic and Soft Computing, 16 (1-2), 135-154, (2010). Kahraman, C., Tolga, A. Ç., "An Alternative Ranking Approach and Its Usage in Multi-Criteria Decision-Making", International Journal of Computational Intelligence Systems, 3 (2), 219-235, (2009). Tolga, A. Ç., "Fuzzy multicriteria R&D project selection with a real options valuation model", Journal of Intelligent and Fuzzy Systems, 4 (5), 359-371, (2008). Tolga, A. Ç., Kahraman, C.,, "Fuzzy multiattribute evaluation of R&D projects using a real options valuation model", International Journal of Intelligent Systems, 23 (11), 1153-1176, (2008). Parlak, İ. B., Tolga, A.Ç., "Health Informatics", Operations Research Applications in Health Care Management, Springer, 423-460, (2018). Turgut, Z. K., Tolga, A. Ç., "Fuzzy MCDM methods in sustainable and renewable energy alternative selection: Fuzzy VIKOR and fuzzy TODIM", Energy Management—Collective and Computational Intelligence with Theory and Applications, Springer, 277-314, (2018). Parlak, İ. B., Tolga, A. Ç., "Fuzzy Probability Theory I: Discrete Case", Fuzzy Statistical Decision-Making Theory and Applications, Springer, 13-34, (2016). Tolga, A. Ç., Parlak, İ. B., "Fuzzy Probability Theory II: Continuous Case", Fuzzy Statistical Decision-Making Theory and Applications, Springer, 35-54, (2016). Kahraman, C., Tolga, A. Ç., "Fuzzy Investment Planning and Analyses in Production Systems", Production Engineering and Management under Fuzziness, Springer, 279-298, (2010). Aslan, R., Tolga, A. Ç., "Bilgisayarla Teknik Resim Autocad", Bilgisayarla Teknik Resim Autocad, Galatasaray Üniversitesi Yayınları, 1-102, (2002). Ocakoglu, K., Tolga, A. Ç., "Effective Trading in Turkish Electricity Market: Hedging with Options", World Congress on Engineering 2018 International Conference on Financial Engineering, 314-318, (2018). Turgut, Z. K., Tolga, A. Ç., "Sustainable and Renewable Energy Power Plants Evaluation by Fuzzy VIKOR Technique", International MultiConference of Engineers and Computer Scientists , , (2017). Alali, F., Tolga, A. Ç., "Covariance Based Selection of Risk and Return Factors for Portfolio Optimization", The 2016 International Conference of Financial Engineering (ICFE 2016), 635-640, (2016). Semercioglu, N., Tolga, A. Ç., "A Multi-Stage New Product Development using Fuzzy Type-2 sets in a Real Option Valuation", IEEE International Conference on Fuzzy Systems-FuzzIEEE, 1-7, (2015). Parlak, İ. B, Tolga, A. C., "Evaluation of medical devices using fuzzy TOPSIS with Type-2 fuzzy numbers. ", 11th International FLINS Conference “Decision Making and Soft Computing”, 48-54, (2014). 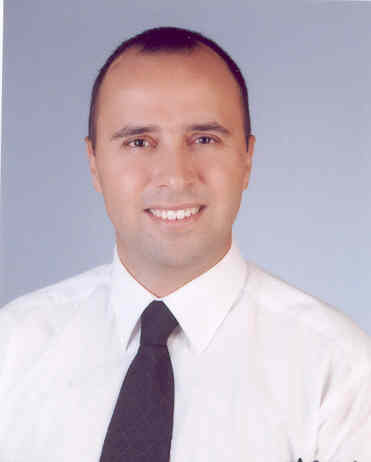 Kayserilioglu, B., Tolga, A. C., "The Investment Scenario Analysis with Real Options Method by Using Monte Carlo Simulation", International MultiConference of Engineers and Computer Scientists (IMECS), 975-978, (2013).